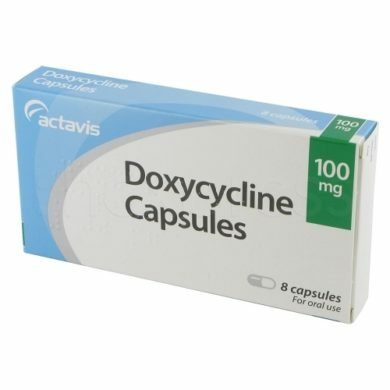 Doxycycline medication is a tetracycline antibiotic that treats several bacterial infections including, urinary tract, cystitis, gum disease and stis; gonorrhoea and chlamydia. Doxycycline capsules can also clear blemishes, bumps, and acne-like lesions caused by rosacea. Doxycycline can be prescribed as a prevention medication for malaria along with other infections not mentioned here. This drug is not suitable for pregnant women or children. Women taking the contraceptive pill should also be aware antibiotic can make the pill less effective and should use another form of protection whilst on antibiotics. Doxycycline contains the active ingredient doxycycline hyclate, which fights bacteria in the body. 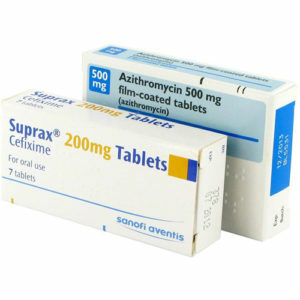 Doxycycline antibiotic stops the multiplication in the body of certain infections-causing bacteria. Tetracycline drugs are also known as broad-spectrum antibiotics that can be effective in treating many different types of bacteria. Doxycycline is taken differently depending on what disease you are treating. For sexual diseases the medication is taken twice a day for 7 days. For the prevention of malaria you should start taking Doxycycline 1-2 days before leaving for your trip, continued for 4 weeks when you return. First you need to have a free consultation online to obtain a prescription for Doxycycline. This is a simple process that replaces the face-to-face consultation you would normally have with a doctor. Once you have been approved for the medication Doxcycline will be sent out to arrive to you the very next day. After taking doxycycline for a period of around 3 months last summer I found my cystic acne to have completely disappeared. If anything is worthy of being called a miracle drug this surely is it for me. My face became completely free of pimples. Like not a single one. 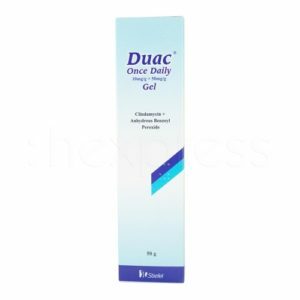 Unfortunately, my dermatologist only prescribed this to me for a period of 3 months (as it can affect the liver after sometime) and upon going off it my acne came right back; and quite aggressively it did. I do wonder if its possible my acne has gotten worse as I find its built a resistance to lower level medications such as Retin-A and benzoyl peroxide. I’m very tempted to go on this again as I know it will clear my skin while I take the medication, but I fear it will return at an even worse rate upon stopping the doxycycline. I had a boil that got larger and painful over a 5 to 6 day period. I was using epsom salts and water warm compresses which often cures a minor skin infection for me but not this time. Due to the location my physician did not want to lance it, so she prescribed 10 days of this medication. The boil started to improve rather rapidly . I continued the hot compresses for a few days. I tried to eat something ( but not dairy), drink water, and use sunscreen , all part of the instructions. My main side effect of the medication now seems to be mild to severe nausea that started about day 5, I am on day 8 .The nausea is lasting almost the entire day , and I have had headaches. I rate the drug highly for me as it is curing the staph infection, which is markedly improved. This antibiotic, like most drugs, is not for everyone. As I am I am allergic to other antibiotics, I feel like I have to put up with some side effects that are not dangerous. It has truly been a miracle drug for me!!! I couldn’t be happier with the results!!! I went to the Drs day after my trip on a plane because I woke up with a severe sore throat and could hardly swallow. He asked me if I was coughing I said not yet but I can’t breath too well. After visit he says I have acute bronchitis and prescribed doxycycline. The first day I had bad headaches but Tylenol usually help and it helped me sleep. The 2nd day I started coughing and lots of green mucus (sorry that sounds awful) but I can now breathe. The only side effects I had are headaches and muscle spasms and oh my toes when I’m trying to sleep. I’ve had no stomach problems. Have to take them for 7 days and I will see how I feel. I have not been sick with the flu, cold, bronchitis, pneumonia for over 8 years so this getting sick is terrible for me. I blame it on the plane ride. I have severe acne (face, back, chest) after a few days of doxy my skin started to noticeably clear! 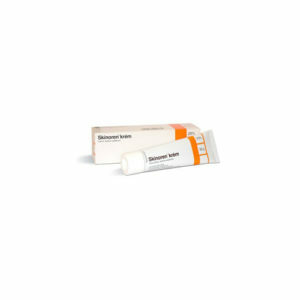 I use it in conjunction with differin and bezac-I haven’t had this clear skin since I was at school. I have tried many medications and skincare previously and nothing has worked as well as this! Everyone has different experiences, I hope it works for you. I am a 55 year old woman and was prescribed Doxycycline Hyclate 100mg for Lyme Disease. I took it twice a day for 30 days. During the last week of treatment, I noticed how I started to feel depressed: I found everything and everyone to be irritating, and I just wanted to be left alone. Yesterday was my first day without the medication, and I spent the most awful night of my life: I experienced vivid suicidal thoughts, was contemplating ways to end my life, and even wrote a letter to my children. The next day, I browsed the Internet and noticed I was not alone! I feel the company should absolutely list suicidal thoughts as a side effect of their drug, not only for adolescents, but for adults also. This way, family members and doctors could be warned and keep a close eye on every person to whom this drug is prescribed. If you’ve experienced suicidal thoughts while using this medication. 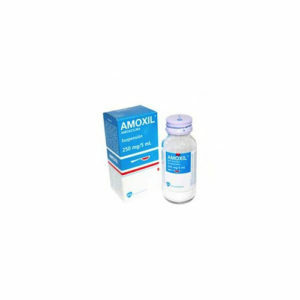 This medicine has really worked for me, I had acne for many years and I have to try a lot of stuff (over the counter) and did not work. Until I went to the doctor for a ear infection, she ask about my acne and told me about doxycycline that will help me clear my face, a few days later I saw results and I have never been happier. So far it worked for me. I have moderate to severe acne, also known as acne vulgaris. Before doxycycline came into my routine I tried all different kinds of creams, cleansers, exfoliators, moisturizers for my face and none of them worked. My face got extremely bad when I used products with harsh ingredients. For my face cleanser I use all natural ingredients, I use the brand Eminence. There products are all natural and have different products for different types of skin problems. Then I use the doxycycline in the morning and at night. My acne has gotten less bumpy, still a tint of red but definitely an improvement! I had not severe but noticeable acne and wanted it cleared was on medication for 6 months first 3 months I broke out awful then it cleared and my skin was clear just hyperpigmentation marks been off it two weeks and been waking up with a new spot every morning entering depression again no idea what to do. I was prescribed doxycycline 100mg 2 a day for 10 days after struggling with a persistent cough that was going on for 2 months. Within 2 days my cough was non existent and I finally had a full night of sleep. Then came the problems. On the 3rd day, I hadn’t eaten breakfast before taking my morning dose. I was sent home from work after vomiting it up. That night I took it on a full stomach and no problem. On the 5th day (today) it was really hot outside. Walking into work with jeans and a T-shirt, I felt like the UV rays were penetrating my clothes. After work I got in the pool, but couldn’t stand it after 30 minutes. My skin was burning so bad. Photosensitivity is a side effect it seems. 3rd strike was my throat was starting to feel raw a few days ago. Back around my tonsils and far back top of mouth around sinuses and uvula. It is slightly red too. It isn’t a typical sore or swollen throat. It’s just raw and hurts. So I’m done with these antibiotics. I was prescribed Doxy 50 mg twice a day for 30 days for a rash on my face. It’s been 2 weeks and the rash is disappearing, with no side effects. I’m very pleased.